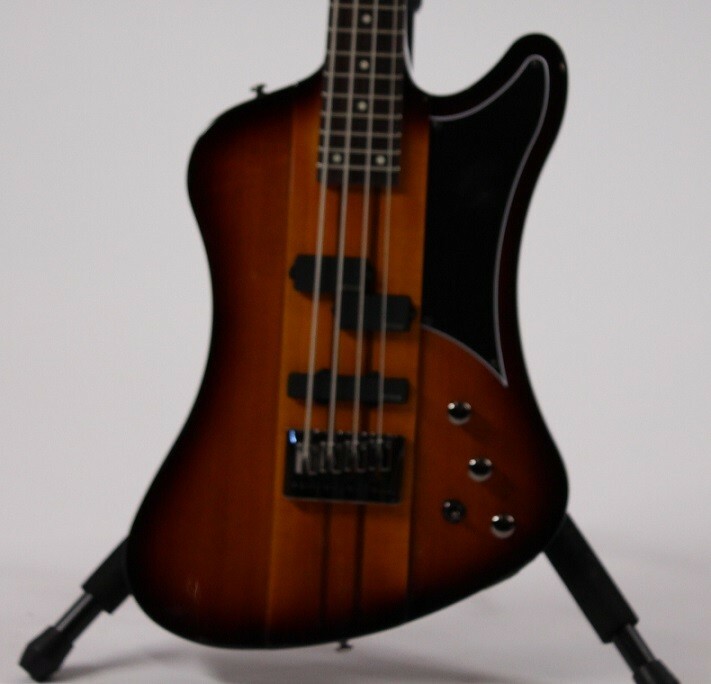 Made in collaboration with Nikki Sixx of Mötley Crüe and Sixx: A.M., Schecter’s Sixx bass from its signature series combines the musician’s attitude and style with the guitar maker’s quality and craftsmanship. 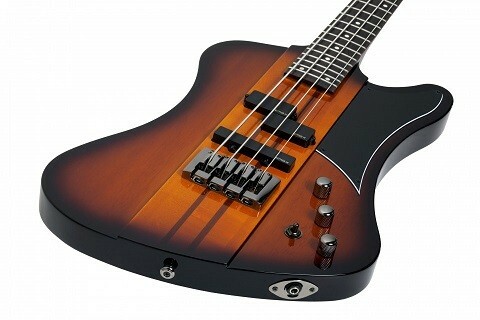 Designed to Sixx’s specifications, the musician’s vision was to create an instrument that feels comfortable and sounds great in the hands of any player. 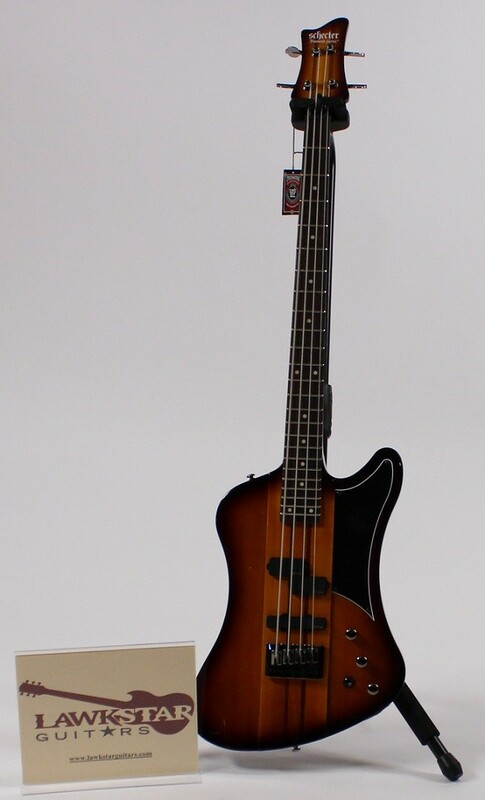 This bass delivers just that and, as a bonus, you don’t need to have Sixx’s bank account to afford it. 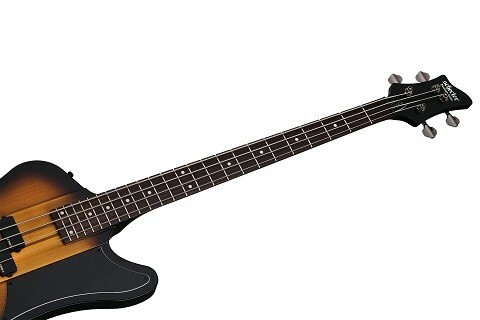 The Sixx Bass has a neck-through mahogany body and EMG PLJ active pickups that offer versatility, defined attacks and greater tonal dimensions with punchy lows and dynamic highs. 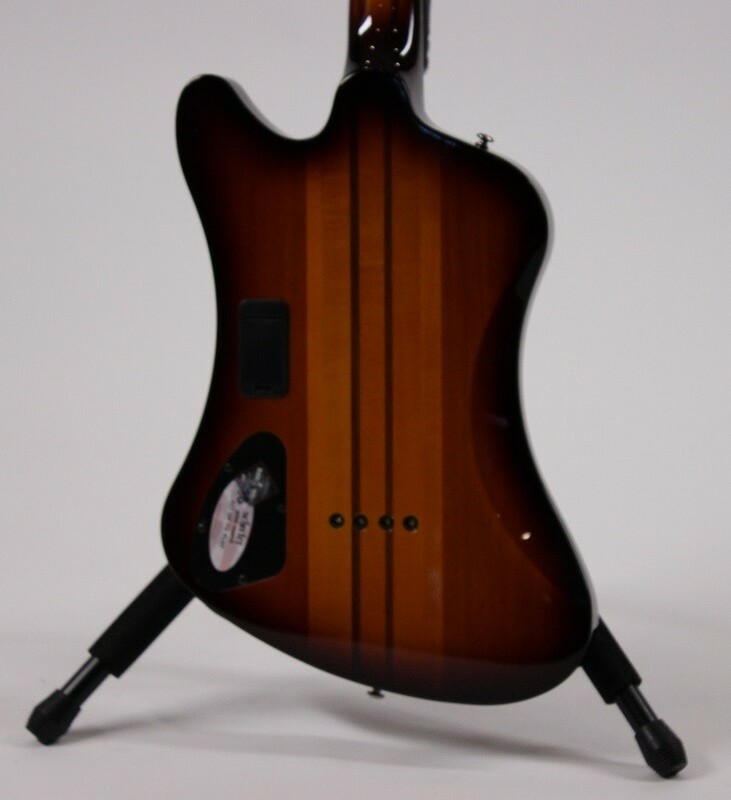 The neck’s two strips of walnut sandwiched between three pieces of maple produce balanced bright and warm tones. The lightweight Grover® “MINI” tuner with a 20:1 gear ratio has a housing designed for precise tuning and slip prevention. Because the gearbox has permanent lubrication, it will remain friction-free for life. Nikki Sixx is the International rock icon, founding member of Mötley Crüe and Sixx:A.M., two-time New York Times best selling author with The Heroin Diaries and This Is Gonna Hurt, co-founder of rock couture fashion line Royal Underground, philanthropist, photographer, proud father of four and syndicated radio show host of Sixx Sense and The Side Show Countdown. Some of Sixx’s accomplishments include over 80-million in album sales with Mötley Crüe and Sixx:A.M., countless sold out global tours, Mötley Crüe’s sold out residency at the Hard Rock Hotel & Casino in Las Vegas – a first for the hard rock genre – an award-winning Superbowl commercial for Kia, photographing high fashion for The New York Post’s prestigious Alexa supplement, and raising several hundred thousand dollars through his Running Wild In The Night charity for Covenant House California.